This season's cool temperatures have delayed plants' flowering cycles, but boy were they worth the wait. 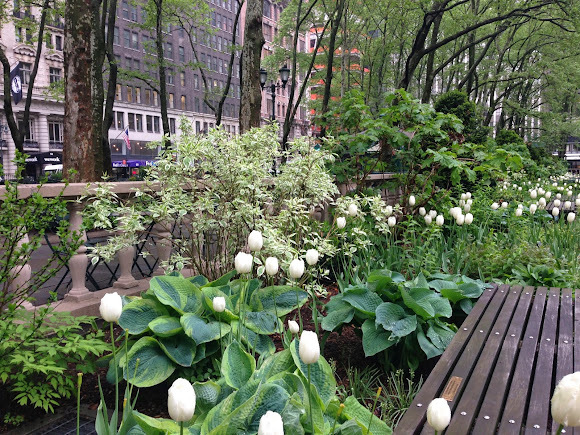 The rainy spring contributed to the remarkable blooms (and dozens of shades of green!) that we have been privileged to enjoy. Below are photos of our recent blooms in the park. Tulipa Maureen is a strong and tall white flowered bulb which was still blooming on May 15th among the emerging hostas and ferns. The flowers reached over 4 feet tall. 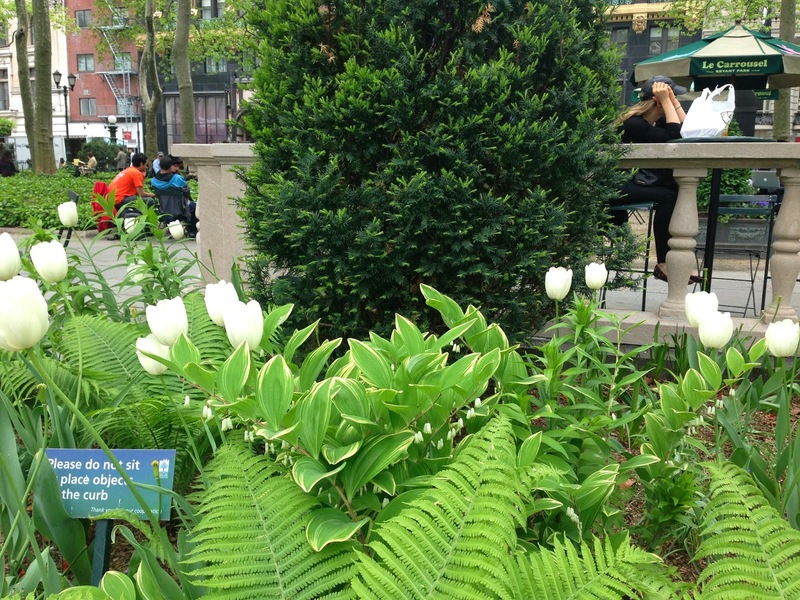 In mid May, Polygonatum variegatum odoratum (False Solomon's Seal, the small white flowers on the underside of the green and white leaves in the middle of the photo) emerged amid Ostrich fern on the shady side of the perennial border. The white flowers dangle like pearls or dew drops from the stems. We introduced shrub peonies to the borders in 2013. Here is Yumi, with a soft yellow flower next to Hosta seiboldiana elegans. Peonia Keiko blooms for a short time in early June and can be found on the sunny side. 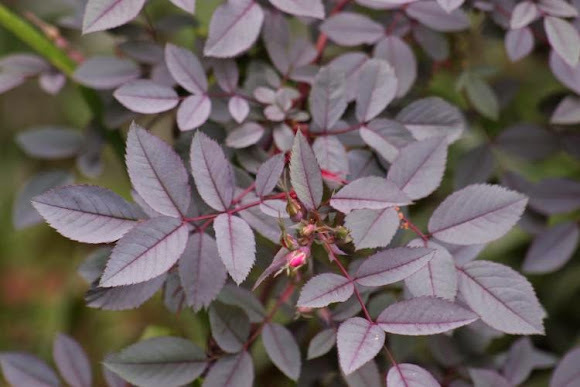 ..and sport these bluish coppery leaves, which will contrast beautifully with plants in the border. Over 30 trees were pruned in May. There was a great deal of dead wood to remove after the winter. Thinning the canopy allows for healthier growth in the trees and more sunlight for the plants below.